We believe that every person is entitled to the best legal representation, no matter what your financial situation may be. Our experienced solicitors at CM Lawyers are more than happy to represent clients under a grant of Legal Aid. If given the grant, the Legal Aid Commission (LAC) will pay the fees for us to represent you in your case. The LAC of New South Wales have policies and guidelines to follow when considering granting people with Legal Aid and assigning them a Legal Aid lawyer. We are able to assist you in applying for your Legal Aid grant from the LAC by explaining the procedures and policies to you, and by preparing and lodging your application through our online portal. If Legal Aid is successfully granted, the LAC will then decide whether to assign the matter to a private practitioner or to a Commission lawyer. You may nominate CM Lawyers to act for you, subject to a successful grant of aid. In order to receive a grant of Legal Aid, you must meet criteria set by the LAC, which are related to your financial means (your income and your assets) and whether you meet the Commission’s policy guidelines. It is important to note that Legal Aid is not always free – after being granted with Legal Aid you may still be asked to make a contribution towards your legal fees depending on your financial means. The solicitors at CM Lawyers are members of the general criminal law Legal Aid Panel. 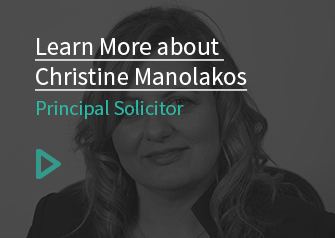 Contact our solicitors at CM Lawyers today to learn more about how Legal Aid and how we can help you with your case today.